It has been a few days. I got involved re-organizing my Kindle. I have many, many books on it. I was busy re-organizing it, and doing some knitting. Not busy blogging. Here I am. Fall happens every year. Some years it sneaks in gently, quietly. Not this year! We had 90’s and 1.3 millions acres on fire in mid September. With in 2 1/2 weeks the northeaster part of the state had 31 inches of snow and no power. Here in Missoula, the leaves began to change, quietly. The temperatures dropped drastically, and I pulled my warm jackets out. I always insist that 45 or 50 degrees in October is NOT the same 45 or 50 degrees in April. Once I adjust to the cooler weather, I scale back on the coats. We have had snow in the mountains that surround Missoula. This is the earliest we have had snow since the 80’s. It melts and life returns to ‘normal’ fall. The leaves have abandoned the quiet change. Most trees are at least yellow, if not full on red. The larch needles are yellow now. Monday we got a big wind, and there are fewer leaves still on the trees. They are sneaking into businesses, and houses. The wind whistles and the trees release more leaves. Temperatures are in the 40’s and 50’s. Fall is here. I have lived in Missoula my whole life. I have wanted to live on the Oregon coast for many years, but it has never happened. There are a myriad of reasons why it hasn’t happened. I hear over and over how beautiful this state is, how unique it is. I smile, agree and wish I were living on the coast. Three things have happened in the last two years that have made me examine my desires to move to Oregon. Yes I still love the coast. Whenever I am there, I feel the tensions flow out of my body and the surf soothes me. Montana is ‘normal’ to me, and in it’s normalcy I have quit seeing it. Missoula is called the ‘hub of five valleys’. Our southwestern flank is protected by Lolo Peak. Lolo Peak is just over 9000 feet high. This summer it caught fire. It burned most of the summer, and eventually 50.902 acres burned. It is 90% contained now. It, like many of the Montana fires, will not be fully contained until serious snow flies. All of my life, Lolo Peak has stood guard over the Missoula and Bitterroot valleys. It is part of the landscape-until it isn’t. For 2 months this summer, it was hidden in the haze of smoke. It didn’t seem like it was there. The northeastern part of the county had the Rice Ridge Fire. It burned 160,187 acres. Most of the town of Seeley Lake was evacuated. They couldn’t open school. It was terrifying for them. 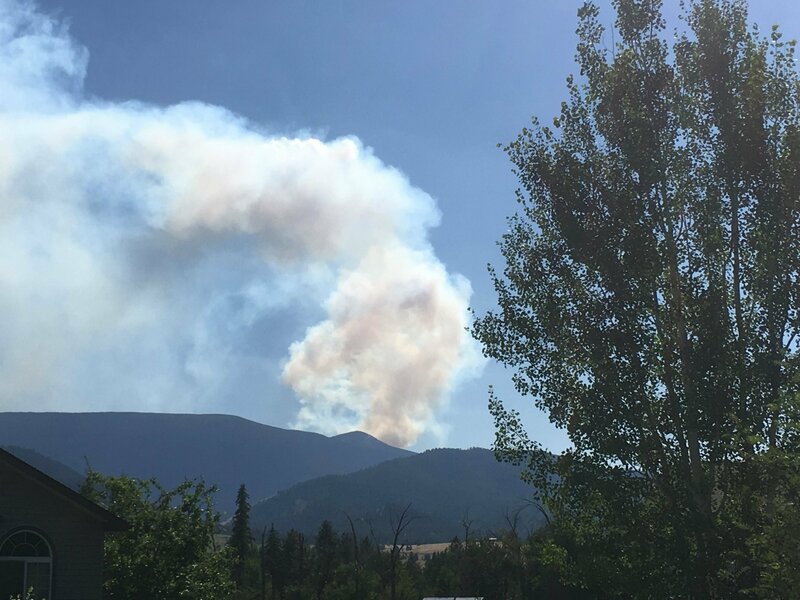 Both this fire and the Lolo Peak fire were in Missoula County. They had the distinction of being the #1 priority in the nation on different weeks. They also made sure that the air quality was worse than EVER recorded anywhere. We do not know the effects it will have on those of us that breathed it for 2 months. Those fires ‘woke’ me up. They created a new appreciation for my home, they took normal out of the equation. Life has kept me in town for five years. Again a myriad of reasons contributed to that. I was in the northwestern part of the state last week. My posts about Glacier and Whitefish talk about that trip. Again, I got a new look at my state. I realized how truly beautiful it is. When something is ‘normal’ you don’t see its uniqueness-it is normal. I am learning it is not normal. Just over a million people call this huge state home. Many people come to visit it, and long to return. Having my mountains become invisible, re visiting a favorite part of the state are two reasons my love is returning and adjusting. The horrors that have been happening around the country have made me appreciate our isolation. The Pulse shootings, the Las Vegas massacre, the Charlottesville riots-the list goes on and on. We are mostly isolated from those horrors. We have few people, a lot of land, and it takes a real effort to travel this state. We are a much redder state than I would like, but I do love my state. I always thought that Colorado was like Montana. My daughter worked in a hospital down there, and we both found out that is NOT true. She and Scott moved back up here and have jobs in hospitals up in the Whitefish/Kalispell/Columbia Falls area. They are thrilled to be back here. Someone posted a joke meme on Facebook a couple of weeks ago. The gist of the meme was that Trump sold Montana to Canada. Many of us were sorry it wasn’t true. We seem to have more in common with our Canadian neighbors (& we border BC, Alberta & Saskatchewan) and with Alaska than we do with our lower 48 neighbors. Anyone that reads this from Florida will laugh. I hate/fear alligators and crocodiles. I live in a town that has had a bear fall on a trampoline from a tree-in the city. 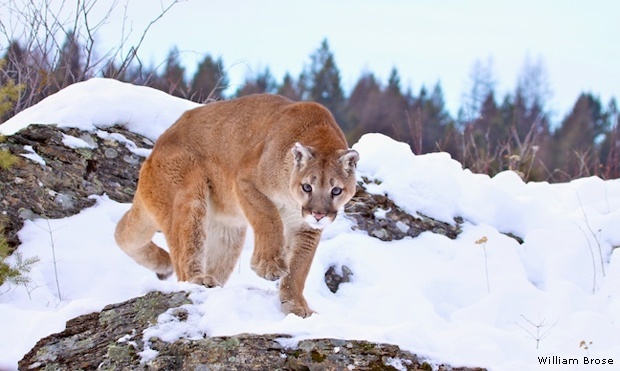 Mountain lions like this town. Lion alerts are common. We have foxes and wolves nearby. There is an amusing video of a bear that went ‘shopping’ on the busiest road in Missoula last spring. It was a Friday morning, and it must have wandered up here. If you have read ‘A River Runs Through It’ by Norman MacLean you know Missoula is the town that a river runs through. That river is a great wildlife corridor and that is partly why we have the visitors we do. They come down the Rattlesnake Creek from the Rattlesnake Wilderness. They come in from one of the three rivers that meet in Missoula to head to the Pacific. Humans and human food smells are rich, and they can’t help paying us a visit. They also live around the outskirts. I was taking about Seeley Lake. It is part of the Swan Valley. the Swan is bordered on the east by the Bob Marshall wilderness and the Swan mountain range. The west is bordered by the Mission Mountains. If you go north through the Mission Valley you come to Flathead Lake, and eventually Whitefish/Kalispell/Columbia Falls & Glacier Park. The Grizzly bears love both the Swan and the Mission Mountain ranges. Huckleberries are delicious, and peaks are tall, and there aren’t TOO many people. They wander fairly freely. They don’t always do well when they encounter humans. So-I live in Grizzly country. The bear and lion stores about out here. I could blog on and on about hem. I still fear alligators and crocodiles! I don’t think we ever quit changing or growing-at least I hope we don’t! 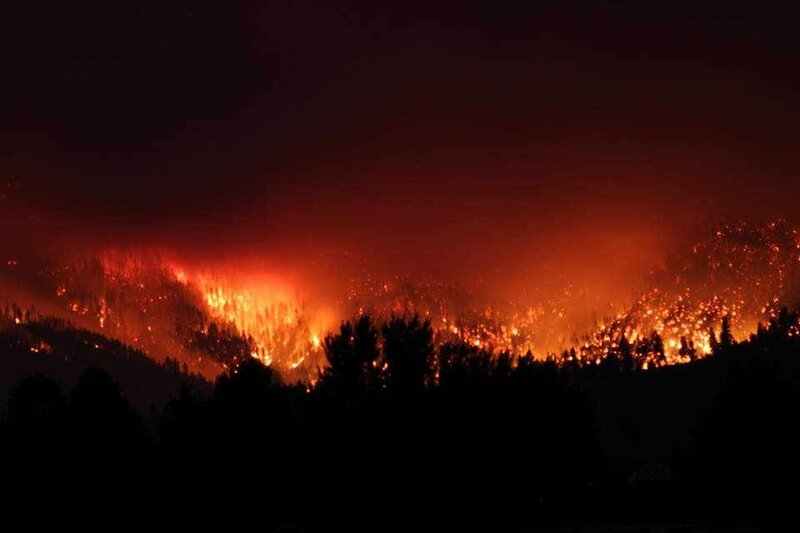 I am posting a couple of links to photos of a grizzly bear, a mountain lion & Lolo Peak and the fires-so you get an idea. They are not my photos, but ones I ‘borrowed’ from Google. Reevaluation & reconsideration were the unexpected side effects of this past summer. I’m interested. What was it about Colorado that they didn’t like? The cost of living was extremely high in the area they were living in. They liked parts of it, and they explored while they were there. They could get Colorado made beer for less in Montana than in Colorado-just a comic reference. I know that the pay wasn’t as high for the cost of living as they had expected. So…those are the reasons I know about. I’m sorry that you had to deal with that for 2 months. And really sorry that here in Texas, it was never mentioned on our news! California, of course but Montana, never. So I am sorry to hear about that. I’m glad the snow will put it all out and I pray it doesn’t happen again! Thank you so much for your kind comments. I ‘heard’ that far more than Houston was damaged by that hurricane. You’d never guess that from the news either. I admit I can’t decide if being ignored was bad or good. It was bad, because we had to fight for $$ help. It was good in other ways. You have a lovely weekend. !